There are few more straightforward pleasures in life than getting back to nature on a camping holiday. Sleeping under canvas, cooking in the open air and getting away from all mod cons is a great way to relax and escape from the hectic lives that we all seem to live. As people’s expectations of their holidays grow and individuals seek out luxury rather than simplicity, more and more places are offering a camping experience that is nothing like the escape it once was. So-called “glamping” brings glamour to the outdoor experience and offers heat, light and power for your gadgets and gizmos so it’s not much like getting away at all. 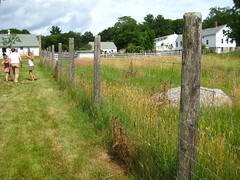 If you want a true camping experience, one of the best ways to do it is to stay on a farm. There are plenty of farms that offer pitches for campers up and down the country and offer real escapism from modern life. 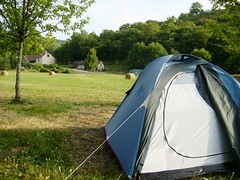 One of things to bear in mind when going camping is that you are very much at the mercy of the elements. When packing, make sure you take warm clothing, thick socks, waterproofs and plenty of bedding to keep out the chill at night. If you’re camping on a farm, there is often the opportunity to take advantage of the delicious local produce in your cook-out cuisine. These days, a small camping stove can be picked up from an outdoor shop for as little as £20 and will serve you well for whipping up an open-air cooked breakfast using the eggs and bacon from the farm shop. One thing you won’t want to take with you is a host of electronic gadgets. Without access to power, you will find that these run down very quickly and constantly having your phone in your hand defeats the object of getting back to nature. These days, there are relatively few opportunities to truly get away from it all. With emails sent to our smartphones, Facebook and texts we are in constant communication with the outside world. Farm camping gives you the chance to experience a slower pace of life and unplug from the constant stream of chatter that is modern living. One thing that takes a little getting used to when camping is resetting your body clock. It’s a good idea to take a little lantern so that you can see what you are doing inside your tent, but camping on a farm will get you far away from the artificial light that means it’s never truly dark even in the dead of night. Waking up when it gets light and going to sleep when it’s dark is a wonderful natural way of getting all the rest you need whilst making best use of the day. If anyone knows the local area, it will be the farmer who owns the land on which you’re camping. If you’re looking for things to do, check in at the farmhouse and ask for some advice on places to go and sights to see. Walking in the local countryside is a wonderful way to enjoy the peace and quiet and leave you pleasantly tired for an early night in your sleeping bag. Farm camping is the closest you can get to peaceful isolation without marooning yourself on a desert island. Pack plenty of warm clothes, leave your smartphone at home and enjoy some peace and quiet in the heart of the countryside. Alan Horton enjoys writing about camping and recommends checking out the great deals on Outwell tents from Outdoor World Direct.